NetEnt keeps proving that it deserves its place as one of the top online gambling software providers in the world. Every new release from this developer offers something new, wonderful, and exciting. How the creative team of NetEnt manages to bring something original to online slots is a mystery, but players get to enjoy their talents every time. The latest titles to come from this incredible company are Scruffy Duck and Fairytale Legends: Hansel & Gretel. Fairytale Legends: Hansel & Gretel is the second installment of the Fairytale Legends series from NetEnt. The first was the Red Riding Hood slot released near the end of 2016. The final part of the trilogy has not been announced yet, but in their press release regarding Hansel & Gretel, the developer promised that it will arrive before the end of the year. On the surface, Fairytale Legends: Hansel & Gretel is a classic online slot. It features 3 rows and 5 reels, and you use the standard buttons to control the game. However, this is where the ‘classic’ ends as at a closer look you see that this slot is much more than a simple gambling machine. It actually has gameplay and a plot that helps the player to immerse into the well-loved fairytale. This game is an adventure where you get to help Hansel and Gretel escape the wicked witch. You’ll face some challenges and some unexpected wonders. The game offers a lot of the latter as it has a great number of bonus features, wilds, Free spins, and substitutions. It’s a slot where everyone can win and enjoy themselves immensely. No matter what your level of experience with online slots is, Fairytale Legends: Hansel & Gretel is sure to make a good impression on you. Like all NetEnt games, this new product features enchanting graphics. The animation is truly magical and the soundtrack matches the fantasy atmosphere of the game. The team of NetEnt gave their all to this title and you can see this in every detail. Scruffy Duck slot is a cartoon-style game from NetEnt that takes you on an adventure with some particularly fun-loving ducklings. The design of the slot is fantastic and reminds you greatly of Saturday morning cartoons everyone loved as a child. However, being an online gambling program, Scruffy Duck slot is nowhere near that ‘innocent’. It’s a game that offers tremendous opportunities for mega wins due to NetEnt’s special built-in features. It’s a trick that the developer has used in many of their latest titles. Each of their slots offers a variety of Free spins and bonus features. However, there are also some special features that can only activate when playing one of the bonuses. This scheme gives you an opportunity to win big time and makes the game much more exciting overall. Scruffy Duck is a 5-reel, 25-line, 3-reel slot with the minimal bet size of $0.25. The game runs on HTML5 and is top-quality instant play, like all contemporary NetEnt products. It’s safe, fair, and efficient, so the players can relax and enjoy gambling without the fear of the program crashing. Scruffy Duck can run on everything that supports HTML5, so it doesn’t matter whether you play from your smartphone or a desktop computer. The animations in the game are top-notch, like they usually are with NetEnt. The overall design of the game might seem a bit overwhelming to some, but the cartoonish style appeals to a fair number of players. It’s fun to feel like a child sometimes. However, adults can hardly enjoy the games designed for small kids. Using this type of animation for a gambling game mixes the best of ‘both worlds’. NetEnt released several cartoon-style titles this year, including Wild Wild West: The Great Train Heist. This game would appeal to those who love the story of Scrooge McDuck, the millionaire duck. 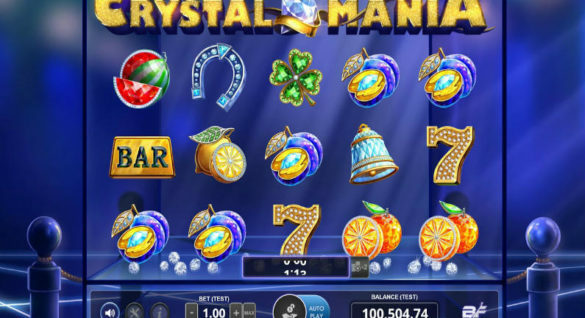 The slot offers you a chance to follow in his steps of building a fortune step-by-step. The Wild multipliers are your best friends in Scruffy Duck as these are the features that can really boost your win. Without them, the slot offers quite moderate winnings, so you’ll really need to test your luck with it. This game is good for beginners who want to discover the potential of online slots making small bets and gaining balance gradually. You can enjoy these and a multitude of other NetEnt games in a great number of casinos. This developer powers all the most popular online gambling portals, including Betsson Casino, Cashmio Casino, Bet365, and Chanz Casino. Both the games and casinos offer a variety of bonuses, so you can find some truly amazing offers if you take some time to research the HitCasinoBonus portal. However, don’t forget that the vast majority of online casinos have wagering requirements (learn all there is to know about it here). Some online slots are a great way to meet them and make the most of your bonus funds. Knowing Betsson, their gaming platform, the magnificent range of online games, the security measures that they have adopted and the kind of transparency they offer to their players is commendable which makes us trust them. Bonuses is obviously the favourite part for players. Betsson offers a good range of bonuses to the users. A compulsory Welcome Bonus is given to each user that registers for the first time on Betsson’s website. 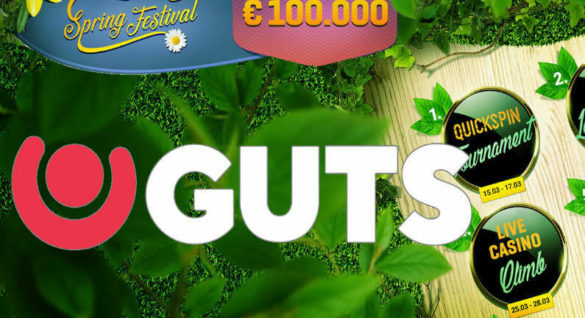 Sign up today to claim your 100% up to €100 bonus!